Recounts the enchanted career of the con man extraordinaire Felix Krull--a man unhampered by the moral precepts that govern the conduct of ordinary people. wife's confinement in such an institution. Doctor Faustus (1947), his masterpiece, describes the life of a composer who sells his soul to the devil as a price for musical genius. Mann is also well known for Death in Venice (1912) and Mario the Magician (1930), both of which portray the tensions and disturbances in the lives of artists. 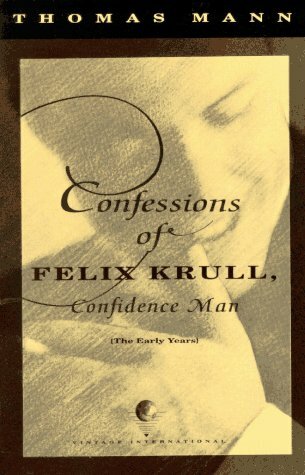 His last unfinished work is The Confessions of Felix Krull, Confidence Man (1954), a brilliantly ironic story about a nineteenth-century swindler. An avowed anti-Nazi, Mann left Germany and lived in the United States during World War II. He returned to Switzerland after the war and became a celebrated literary figure in both East and West Germany. In 1929 he was awarded the Nobel Prize for literature.